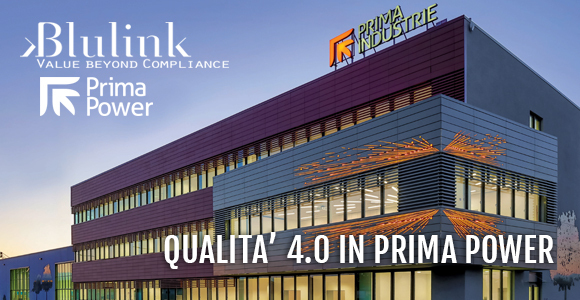 Blulink e Prima Power are inviting you to “Quality 4.0 in Prima Power” to listen to the path that led a company that makes products for metal sheet manufacturing, to choose a Quality Management System. Along with other protagonists of the Quality world, we will talk abou Industry 4.0 focusing on Quality 4.0. During the encounter it will be possible to visit Prima Power’s “Technology Center”.